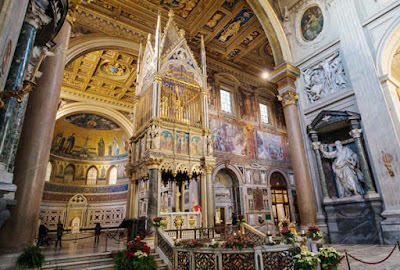 While the body of St. Peter the Apostle is located in Saint Peter's Basilica at the Vatican, and the body of St. Paul the Apostle is in the Basilica of Saint Paul Outside the Walls, their heads rest elsewhere, in the Archbasilica of Saint John Lateran in Rome, established by Constantine the Great in the fourth century. 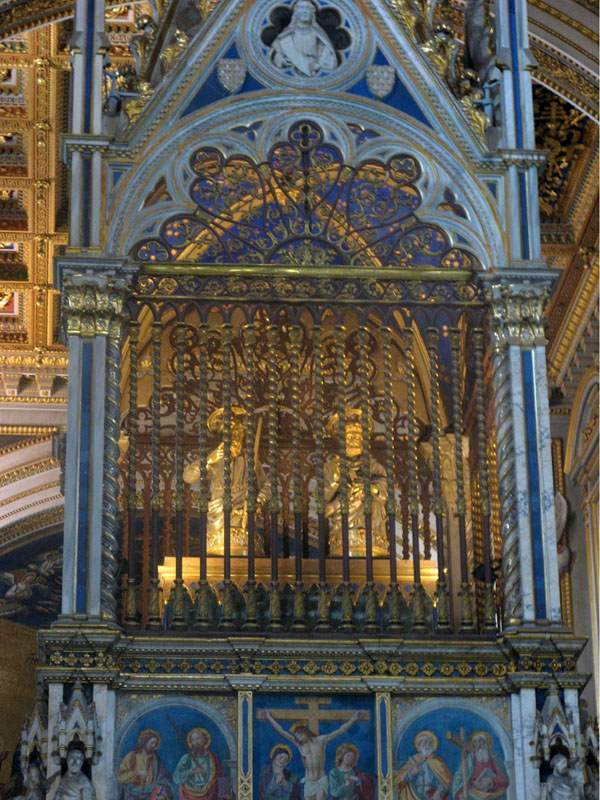 The graceful Baldacchino over the high altar, which looks out of place in its present surroundings, dates from 1369. 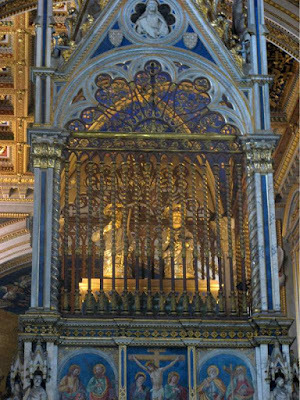 At the top is a reliquary said to contain the heads of Saints Peter and Paul, which rest here since at least the ninth century, though some believe these may have been removed during the French occupation of Rome in the 18th century. 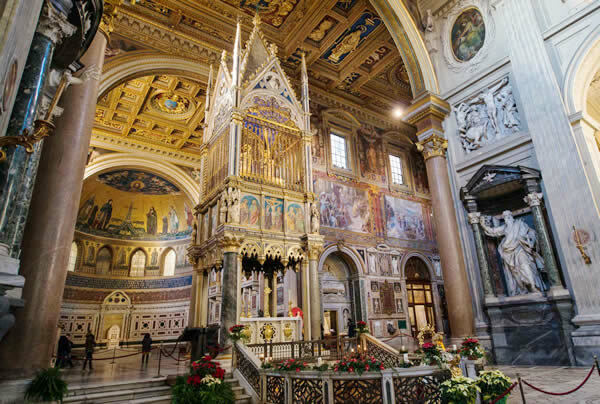 The reason they rest here is because this is the official Cathedral of Rome and seat of the Pope, who is considered the successor of the Apostle Peter.